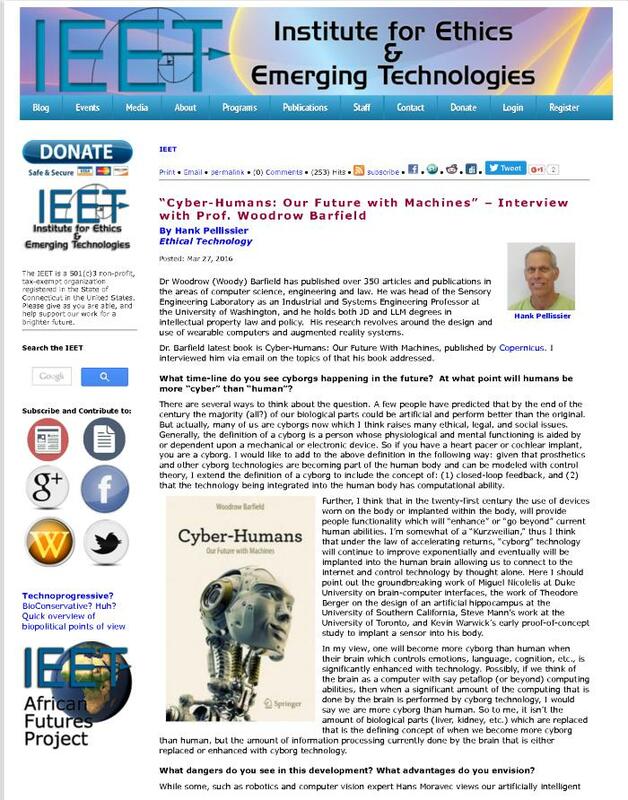 An interview with Dr. Woodrow Barfield on Cyber-Humans. Dr Woodrow (Woody) Barfield has published over 350 articles and publications in the areas of computer science, engineering and law. He was head of the Sensory Engineering Laboratory as an Industrial and Systems Engineering Professor at the University of Washington, and he holds both JD and LLM degrees in intellectual property law and policy. His research revolves around the design and use of wearable computers and augmented reality systems.